Do you want to know what's better Samsung Galaxy S9 or Huawei Honor 10 ? You'll get the answer on this page! SpecsPRO has compared Samsung Galaxy S9 vs Huawei Honor 10 : camera, battery, screen size, resolution and other important specifications. CAMERA Video: 2160p@60fps, 1080p@240fps, 720p@960fps, HDR, dual-video rec. The Samsung Galaxy S9 runs a more powerful CPU Octa-core (4x2.8 GHz Mongoose M3 & 4x1.7 GHz Cortex-A55) in comparison with the Huawei Honor 10. This is an important specification of this phone because powerful processor allows the user to run a few apps at once. The Samsung Galaxy S9 has more powerful GPU Mali-G72 MP18 - EMEA Adreno 630 - USA & China thanks to which the user will be able to run more number of modern game apps. The Huawei Honor 10 has more quality back camera which makes it a better buy for photo lovers. The Huawei Honor 10 front camera specifications are better than that of the Samsung Galaxy S9: (24 megapixels and 2 aperture versus 8 megapixels and 1.7 aperture). If you want to shoot selfie pictures of a good quality then you have to keep in mind this advantage. The Samsung Galaxy S9 shoots videos with a higher resolution: 4K UHD vs 4K UHD . 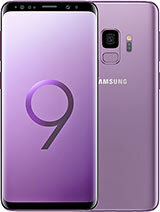 The Samsung Galaxy S9 has 4K UHD (1440 x 2960 pixels) display resolution with 567 ppi pixel density which is more high in compare to the Huawei Honor 10 4K UHD (1080 x 2280 pixels) display resolution with 431 ppi pixel density. It makes this phone a better choice for reading books. The Galaxy S9 device is easier to carry as it has more portable dimensions than the Huawei Honor 10: 147.7 x 68.7 x 8.5 mm versus 149.6 x 71.2 x 7.7 mm. 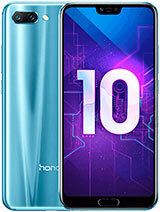 The Huawei Honor 10 cell phone weight 153g which is 10g lighter than the weight of the Samsung Galaxy S9. The Huawei Honor 10 has a better battery life as it is equipped with 3400mah battery which is 400mah bigger compared to the Samsung Galaxy S9 cell. It means that this phone will live longer without charging. The Samsung Galaxy S9 and the Huawei Honor 10 have an equal number of pros however as the Samsung Galaxy S9 has better processor which is a really important specification then it will be the best buy. Check the lowest price on Amazon . Samsung Galaxy S9 and Huawei Honor 10 comparison will help you to understand what smartphone will be the best purchase. By the way if you don't know where to buy these phones you'll find the list of the offers on their pages. Besides Huawei Honor 10 to Samsung Galaxy S9 compare specs of other mobile phones easily.